Updated 4th September: ITV have just confirmed that the new Cilla drama will launch on Monday September 15th at 9pm. The mega-talented Sheridan Smith is to play the young Cilla Black in a new three part drama for ITV with filming starting in Liverpool next month. Cilla tells the story of her rocky rise to fame, featuring the two men who came to love her and fought over her: future husband Bobby Willis and manager Brian Epstein who also managed The Beatles. It was while Cilla worked in the famous Cavern Club as a cigarette girl that her friendship with John, Paul, George and Ringo shaped her career with family friend Ritchie Starkey (Ringo) introducing her to Brian Epstein and producer George Martin who launched her career at the world famous Abbey Road Studios. Sheridan told the Sunday Echo: I am thrilled to be playing Cilla, as she is a British icon. In the 60s, as a young girl from Liverpool, she had numerous number ones and sang with The Beatles, her life story is fascinating. I'm so excited and can't wait to start filming. 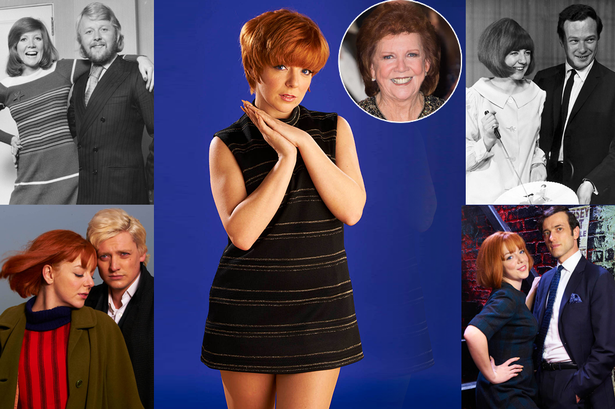 I’m so thrilled to be back at ITV for such an exciting project and to hopefully show a younger audience what a star Cilla has always been and for the older generation they can re-live those swinging 60s. What an era! I can't wait to get up to Liverpool – my favourite city – and start filming. I'm really honoured and just hope I do her story justice. The films have been written by Jeff Pope, produced by Kwadjo Dajan and directed by Paul Whittington for ITV Studios.